IRIS network aims to establish a technology foundation to facilitate construction of next-generation distributed applications. IRIS Network (IRIS) operates on its own blockchain. The total supply of IRIS Network that will ever be issued is 2.01 Billion coins. Current IRIS Network price is $ 0.103 moved down to -8.78% for the last 24 hours. All time high (ATH) price of IRIS Network reached $ 0.229 on 11th Apr 2019 and fallen -54.8% from it. IRIS Network’s 24 trading volume is $ 1.57 Million. It is trading on 3 markets and 1 Exchanges . Find more details about IRIS Network cryptocurrency at the official website and on the block explorer. IRIS Network price Index provides the latest IRIS price in US Dollars, BTC and ETH using an average from the world's leading crypto exchanges. The IRIS Network to USD chart is designed for users to instantly see the changes that occur on the market and predicts what will come next. IRISnet is an interchain service hub for nextgen distributed applications - a BPoS blockchain that is self evolutionary. 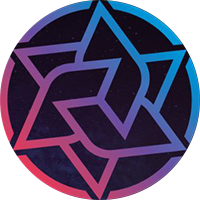 By incorporating a comprehensive service infrastructure and an enhanced IBC protocol into Cosmos stack, IRISnet enables integration and interoperablity of business services offered by heterogeneous blockchains including public chains as well as consortium chains.